PCR Ready Mixes | Tamar Laboratory Supplies LTD. The process of DNA manipulation has been in use for over half a century, since the advent of restriction enzymes. However it was not until Karry Mullis demonstrated the process of Polymerase Chain Reaction (PCR) in 1983 that the manipulation of DNA was sufficiently functional for it to change the landscape of biological research. PCR continues to be the gold standard for DNA manipulation and is still present in the majority of biological research laboratories. 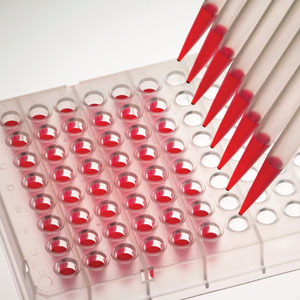 Although PCR is principally unchanged the technique has developed over time so that many different polymerases are available for use depending on the application. The functionality for these applications also continues to improve as development scientists find ways to improve the reliability, yield, specificity, speed and sensitivity of DNA Polymerases. PCR Biosystems offer a range of polymerases to suit all your needs. These are developed by applying the latest advances in polymerase and buffer system technology to provide DNA polymerases which scientists can rely on.